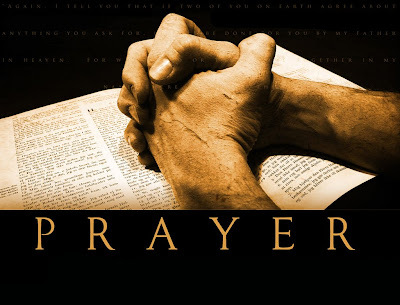 Prayer - Why do you pray? lWhy do you pray? They say faith can move mountains and prayers is one step closer to God. Whatever religion you might have, prayer was indeed a mighty formula of your faith. Sometimes, we pray to give us strength in time of problems and worries. We pray for guidance, to lead us to the things we needed to do. We pray for our children, our love ones, our friends and sometimes we also pray for our enemies. We pray for someone who is suffering of pain or dying. Prayer for our country and the one who leads it is one thing i bet you also do. We pray when we are happy, to give thanks to all the things we had and we don't have and we even pray that we can overcome the trials in this world. There are many kind of prayers, some are specific, some can be elaborated and some can be informal. Why do you really pray? Prayers are basically talking to the one we believe in. It is a way of discovering the faith we have within us. Sometimes, we feel that it was complicated. It doesn't need a certain or specific place for us to pray. We can pray whatever and whenever we wanted too. But of course, there is specific place we called " House of God" for us to say our prayers. Sometimes, we felt that our prayers are futile and we don't get result from it. But don't falter, our prayers might be unanswered today but it is not because the Good Lord doesn't hear it or did not recognize it but he certainly had reasons , far greater that we could imagine. Have you say your prayers today? I pray that we will be enlighten and may the Good Lord will bless us and guide us always not just this Lenten Season but every day of our lives. I must agree with you. The most powerful weapon that we can have, is the power of prayer with faith. God bless you and your family. I pray that more bloggers like you will spread the words of God. Faith can move mountains, but Prayer can move the hands of God. prayer, for me, is the armor in this dangerous and cruel world. i pray because i do believe there is someone greater than myself and that He watches over me all the time..
by the way, do you mind checking out on Happy Birthday To My Most Beautiful Sister? I don't pray because I have to...I pray because I need to. It is my lifeline to God, and he always answers my prayers...always. It is the spirit that teaches man to pray. Prayer is a spiritual communication with our Heavenly Father through His Son Jesus Christ. It is a sure manifestation of everyone's faith when he/she prays. PRAYER lightens up my spirit. IT strengthens my body and soul. I close my eyes and kneel to ask HIS divine guidance. I pray so that I can know what God has in store. prayer is the only thing we can hold on in this life full of uncertainties... my faith keeps me to go on with life. Yahweh bless. Prayer is our free cellphone/telephone to Heavenly Father through Jesus Christ and is indeed an expression of our faith to them!Thanks for sharing this post! I always pray, anytime. My mom always reminds me to. And I always do. Sabe nya, it's our way of communicating to Him. Kahit simpleng pray as long as it's pure okay. It was proven to my experience that "prayer is the most powerful weapon" because it helps me to save my life, giving blessings which is granted by prayers and it guides to the right path. God Bless! My prayer is always about guidance and protection of my family. prayer is my way of communicating with our supreme being. i pray irregardless of the place and the time. very inspiring post about prayers. indeed, prayers can move mountains. ive seen it working with me especially those hard trying moments of my life. prayer of thanks is always a good one to practice as well. I always pray for guidance especially with parenting and also to give thanks for every wonderful and not-so-wonderful things in our lives. We pray because we need some comfort from our Heavenly Father. We live in this crappy world where injustices are very rampant and actually becoming a norm. We pray for strength to be able to endure our trials in life and of course we pray because we want to say thank you to our Creator for the blessings we may received. I love this post very inspiring, prayer is so powerful. No problems will never solve if you have faith in God and let him know that you were very grateful that your still alive. Prayer is my formula to having a good day and a good night. It sure helps my soul when I could talk to my God Who I know always hears me every time. I'm with you marz! Prayer is indeed a mighty formula...amen to to this post! Prayer make us draw close to God. One important thing to remember! I believe in the power of prayer, and I would say that praying is not always for asking but should be a proclamation of our faith that even if we do not see, we believe. I am also a believer that prayers can move mountains. When all else fail, the only thing that we can hold on to is our faith.